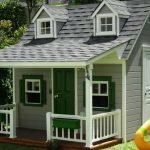 Architectural house designs have evolved for the past centuries, from Victorian, Mediterranean, Cottage-style, Farmhouse-style, Modern and to one of the most popular these days, Contemporary. 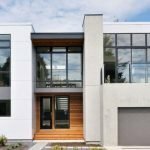 Contemporary homes, reflects the architecture of today. With modern flair and design tweaks from postmodernism and deconstructivism, contemporary homes give emphasis on the use of natural and sustainable building materials. 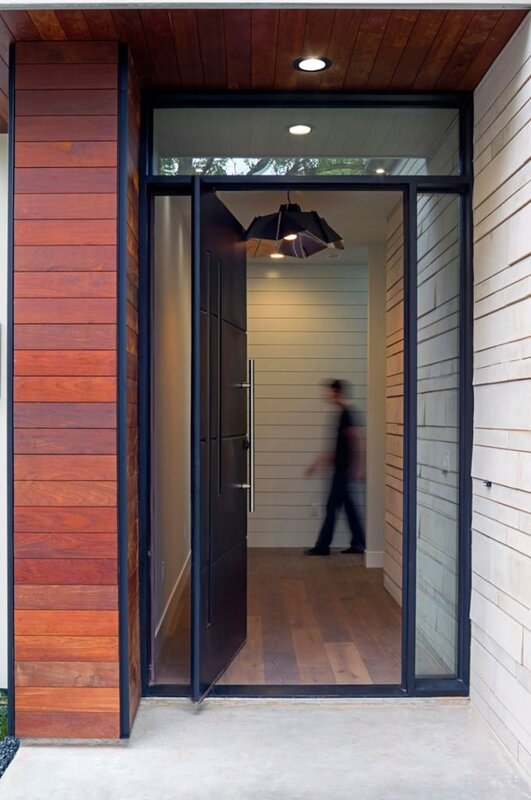 Contemporary house styles hold a strong emphasis on individuality. With the ability to pick and choose characteristics of their home, owners are free to design their homes in a way that truly fits their lifestyle. 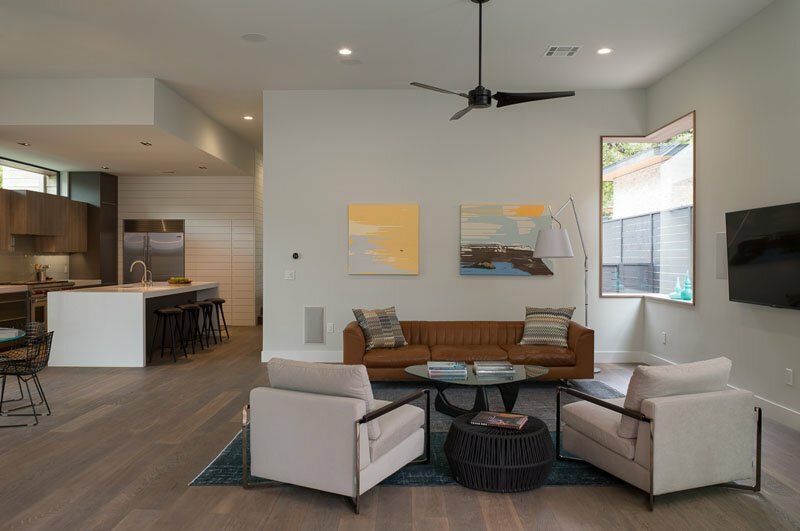 So if you’re considering of having your dream home or reconstructing your current house into a Contemporary Style, then this design from an originally built spec-house from Austin Texas, is a must see. 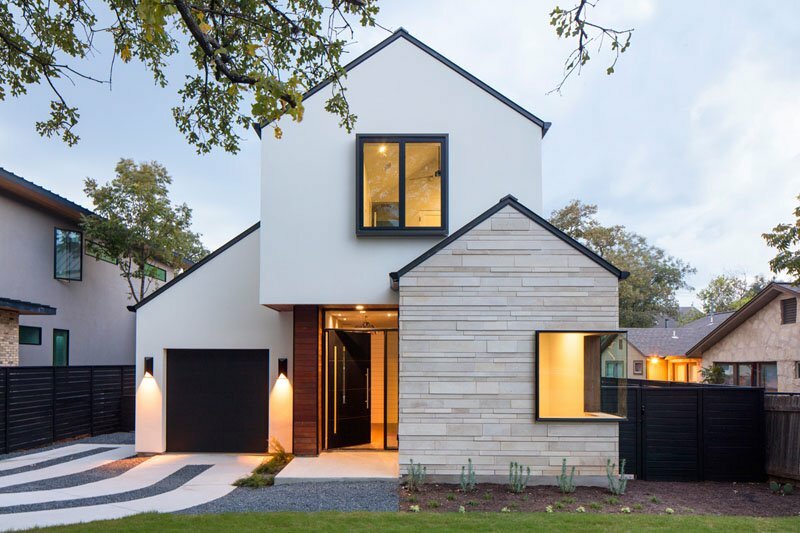 The exterior of the house features limestone, stucco and wood while the interior finish was designed accordingly to suit the owner’s preference. 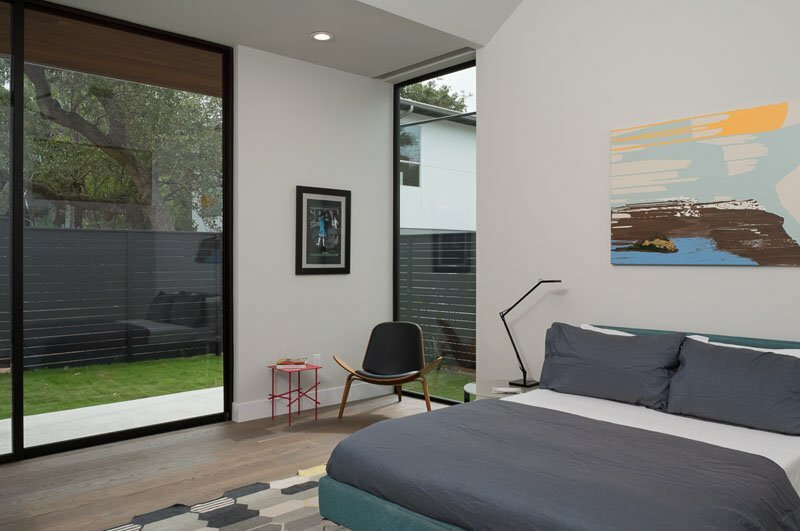 Upon entering, you will be greeted by a large matte black pivoting door, that is surrounded by windows allowing natural light to get in. Walking inside, the home displays an open-plan space where you will first approach the kitchen. 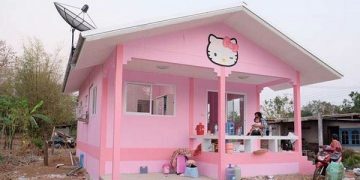 It has a hidden pantry sitting beside the fridge, along with a large white island providing plenty of room for guests to sit and chat. View of the outside garden can be seen from the large windows of the dining area, situated at the end of the kitchen, and the round glass dining table is anchored by a stylish glass pendant light. Next is the living room, where a corner window makes the space well-illuminated by allowing more natural light to get in. Outside is a small covered outdoor space perfect for entertaining and has a hallway leading to the master bedroom. Magnificent floor to ceiling windows and vaulted ceiling pours plenty of natural light to fill the master’s bedroom, and from here you can also easily view the outdoor entertaining space. The master bathroom has walls covered with large white tiles, and has a grand glass-surrounded walk-in shower that is positioned next to the standalone bathtub and double sink vanity. Located near the front door and second bedroom, is a smaller bathroom with floating vanity. With its clean architectural design and open-space feel. 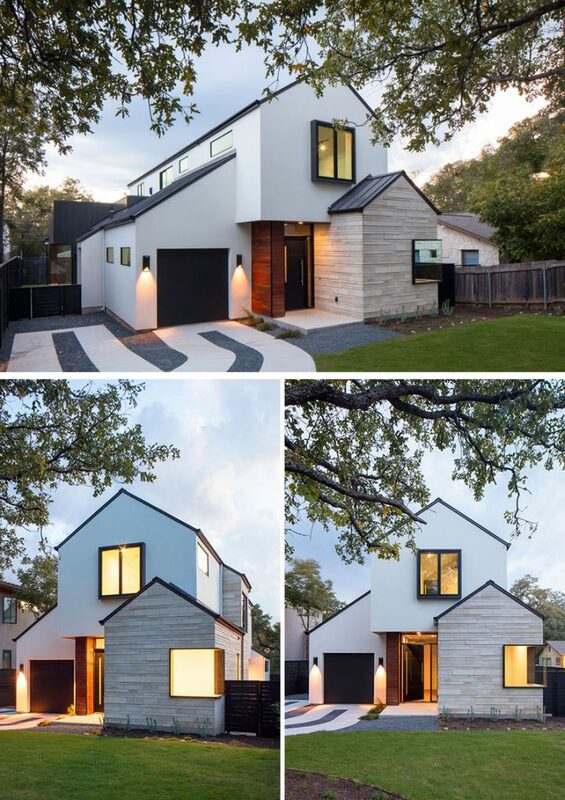 This house design is ideal to consider for your dream contemporary home.